An Advanced Site Carpentry apprentice is wanted by MRFC Ltd, a carpentry contractor near Kidlington. They are looking for someone who has recently completed an Intermediate Apprenticeship or Level 2 qualification in Carpentry. MRFC was founded in 2005 by Martin Franklin, and is run and managed by Martin himself along with sub-contract labour when the need arises. MRFC carries out all aspects of site work from start to finish, mainly on domestic property, including interior finishing (cupboards, fitted furniture ) and kitchens. Work is generally around Oxfordshire within an hour max from base (OX5 2RE). For more information and to apply, please go through ‘Find an apprenticeship’ for the full job advert. Have you recently completed your Intermediate Apprenticeship or a Level 2 qualification in Bricklaying? Then we want to hear from YOU! 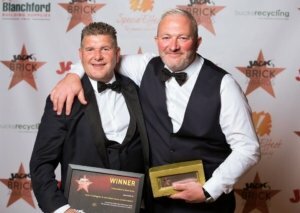 Oxford Brickwork are one of the premier brickwork contractors in the region and they have a fantastic opportunity for a Level 2 qualified bricklayer to continue their training through an Advanced level apprenticeship with them. They will also consider bricklayers without the qualification but who have recent and relevant site experience. Please not this is not an opportunity for beginners or those with no experience. We can help those individuals get started through our pre-apprenticeship course and we may have other brickwork apprenticeships at that level. More info and to apply, via the ‘Find An Apprenticeship’ service here. 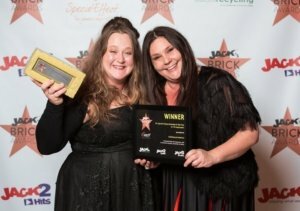 A great opportunity to undertake a trade apprenticeship in a very unique workplace! This Site Carpentry apprenticeship will start with Intermediate/ L2, progressing to Advanced / L3 across 4 years. The successful Apprentice will work in multiple sites ensuring STFC’s buildings provide a safe, efficient and comfortable environment for staff and visitors. Closing date is 20th November. For more information and to apply, please see the vacancy advert on ‘Find an Apprenticeship’ here. Our second-to-last Saturday Open Morning of 2018 is this Saturday from 1000-1200. As you know, we’re not the sort of college to turn people away just because September has passed, so if you’re interested in construction training for yourself, someone you know or for your business, then make an appointment to see us this Saturday morning. We’re looking forward to the Careers Education, Information, Advice & Guidance (CEIAG) Day at Matthew Arnold School in Oxford this Wednesday. Sorcha will be there talking to Year 11s about the award-winning apprenticeship training at ACE and our pre-apprenticeship Study Programmes which have proven success in helping students progress into employment, further training and apprenticeships.